interesting addition to the world of android, very impressive screen to frame ratio, titanium and ceramic could prove to be durable with decent build quality ..
shame about lack of decent IP rating, and personally I prefer Moto's approach to modular, not too sure I wanna carry the phone with the camera module attached or carry a separate camera module around.. I DON'T KNOW, BUT SOMEHOW YOU CAN TELL THIS PHONE IS GONNA BE...AWESOME!!! 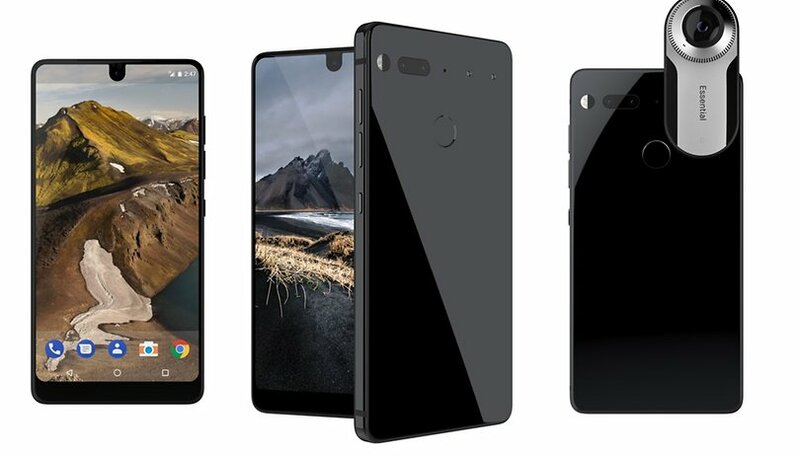 Oook .... so I need a new phone, like yesterday...No new phone bc I LOVE my Evo/Note (nothing compares)...I am happy to say this is the best phone since the Evo....I'm so excited and ready to graduate to the Essential Phone......waiting on you Andy....we need a release date. You need to go to their website and put yourself on their pre-order list, you don't get charged anything, they don't even ask for any credit card information, just your name and contact info, once it's available they will contact you for you to place the order. I put myself in for the black version with the 360 degree camera. wow, i just love it when there is competition. hope the smartphone live up to its expectation. The competition is fierce but I hope it does well. As this is Android site. Can you tell me where I can download facetime for android? Through the playstore... it's a nice app called Duo. If your a new adopter to android, you have to find out that's a question that'll have posters all over you. Mentioning a apple app, on a android site, may get people to cuss you out! There are several apps on android that do the same thing, and are better, and have been around a lot longer. Duo is one(basically, the official app now that they screwed hangouts)". There are some more, so go to the playstore, and explore.